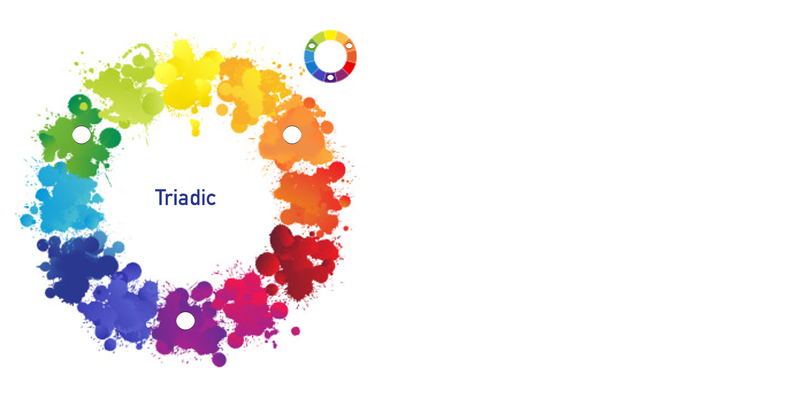 Colour theory has many definitions, applications and concepts but there are three basic areas that are logical and useful – the colour wheel, colour harmony and how these are used. Whether you are styling for a portrait photography or an interior design scheme, colours’ are important, especially when our aim is to make things look great! Some people have a natural talent for this but not everybody has good judgement, so here’s a bit of theory behind it! The basic colour wheel is made up of primary and secondary colours. Red, blue and yellow are the primary colours (you will have done this at school) and when you mix two of those colours you create what are called secondary colours. All colours have tints and shades where a tint are light and darker versions of the colour (mixing with black or white) and shades are varying shades of the same colour. 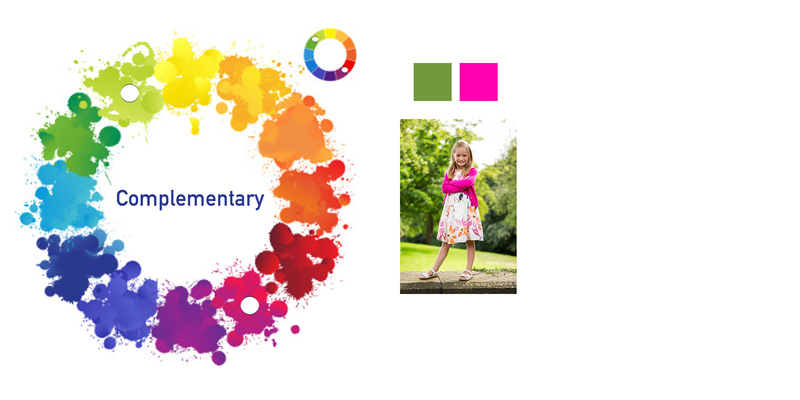 Did you know the colour wheel has been around for over 300 years and was developed by Sir Isaac Newton. The colour wheel can help identify what colours’ compliment each other and can offer different options that give a totally different look and feel. Bearing in mind that differents tints/shades of a colour can also be used to create your looks. Complementary colour is simplest way to use the colour wheel, these are the colours that appear directly opposite each other anywhere on the colour wheel. These provide a vibrant contrast, these tend to be used to make something stand out, to create a bit of drama. Split complementary colours use the colours on either side of one of the complementary colours on the wheel as shown here. Triadic colours are those that are evenly spaced along the colour wheel. This creates a toned down feel of the vibrant and contrasty looks that the complementary colours give. The trick here is to let one colour dominate and accent with the other two. 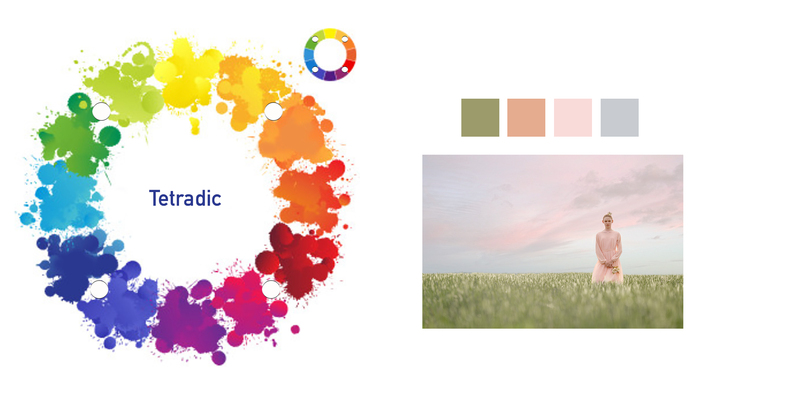 Analogous colours are often found in nature, these are any three colours next to each other on the colour wheel. They are said to leave us feeling harmonious and peaceful. 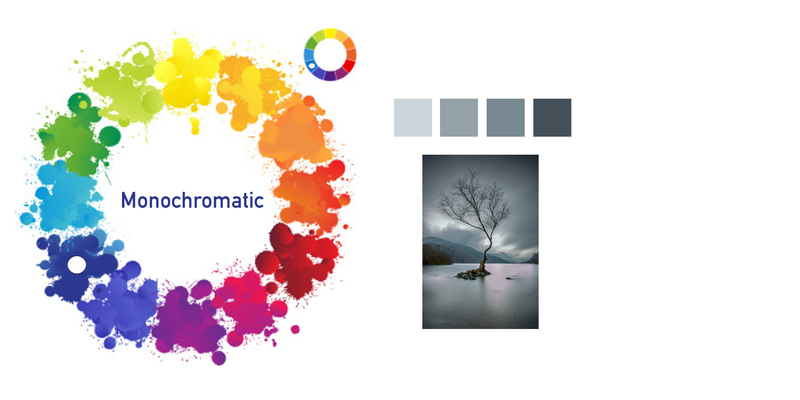 Tetradic (or double complementary colours) are used for a bold feel with multiple options for colours. 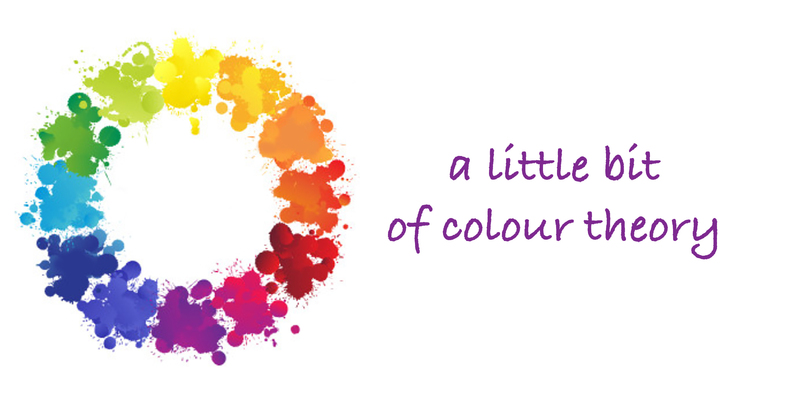 Use two sets of complementary colours that form a rectangle on the colour wheel. Monochromatic colours are all the same colour with varying shades or tints creating a lack of contrast. 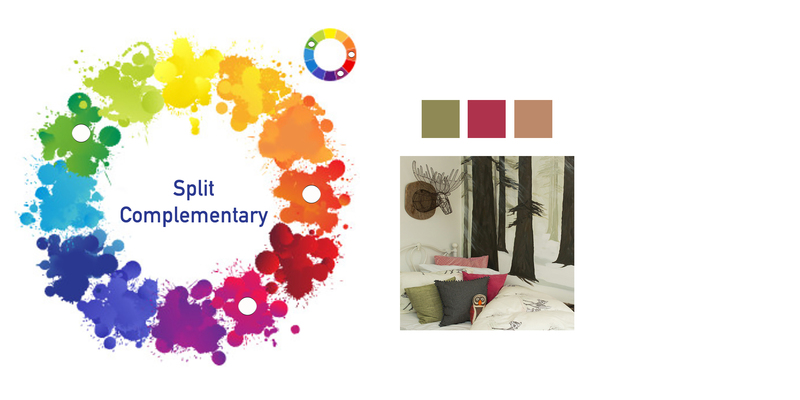 Colour harmony can be defined as an harmonious arrangement of parts, something that is pleasing to the eye. It engages the viewer delivering visual interest and stimulates the brain. When something is not harmonious it is either slightly chaotic or quite bland and boring. Chaos leads to over-stimulation and boring leads to under-stimulation, harmony is the balance between the two. So now you have the basics around colours, you can start to add colours, patterns and textures to add depth to your photographs, a certain mood to your interiors or anything else you want to apply it too. Colours and their combinations come up in life quite often and knowing the basics will help you ensure that whatever you do, looks great.